Dealer Laurie McCants is a stickler for detail: "I'm a numbers person. I can tell you 24/7 this is where we need to be. So many dealerships just wing it." "We had a finance guy leave to go cut trees," McCants said. Tree companies were paying up to $5,000 a week, a figure no dealership could match. "Another finance guy left to go rescue people off rooftops. He had this hero mentality," McCants said. Last year, she said, "I had a couple of guys threaten to leave to go clean up oil," lured by the prospect of making a quick buck from BP's spill operation in the Gulf of Mexico. 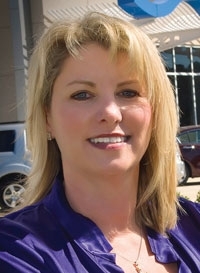 So McCants -- a focused, numbers-driven manager who found time to open a restaurant -- explored ways to make her dealership as attractive as possible, such as annuities for employees who stay for many years. But she has found no silver-bullet solution. Honda of Covington still performed around the national average on turnover of sales personnel, which means about 40 percent of the sales staff leaves each year. "I've thought about all kinds of things," McCants said. "One of our action plans for 2010 was to improve salesperson retention, so we tracked it on a monthly basis vs. Honda nationally. It's just a difficult thing." "Before I've left the house, I've checked sales' customer satisfaction score vs. district and national, and I check the service scores and the daily sales retail delivery registration reports vs. the competition," McCants said. The attention to detail has kept Honda of Covington humming along consistently as the No. 2 Honda dealer in the New Orleans area.